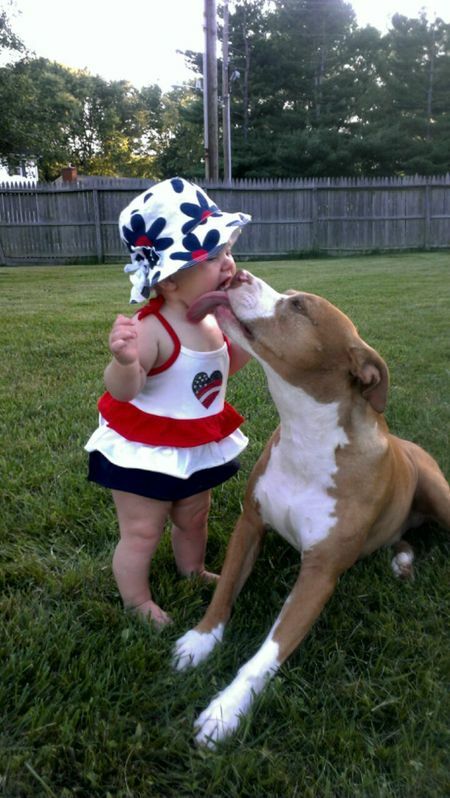 Prince George’s County is a suburb of Washington, D.C., and with a population of almost 900,000 people, it is one of the largest municipalities in the United States that enforces a ban against pit bull type dogs (and those dogs who simply look like they may be pit bull type dogs). Despite its proximity to our nation’s capital, the County paid little attention when the White House recently announced its opposition to breed discrimination. In July, the County prohibited a polio survivor from living with her mobility assistance service dog because her service dog, named Storm, happens to be a pit bull type dog. Last week, a Maryland Circuit Court ruled that Prince George’s County was in violation of state law and ordered the immediate return of Storm. In 2003, Prince George’s County convened a task force to evaluate the effectiveness of its breed discriminatory law, which has been in place since 1997. The task force found that the ban against pit bull type dogs has cost the county more than $250,000 per year in expenses related to the rounding up and killing of these dogs (not counting other administrative expenses associated with the ban). The task force concluded that the ban was ineffective in curtailing bites and enhancing public safety and ultimately recommended its repeal. No one should have to live in fear that at any moment, an officer will knock on your door, determine that your dog “looks” like a pit bull type dog and remove him from your very home, and your life, forever. No dog should be sentenced to death because of how he looks, or because of someone’s opinion of how he looks, especially when we already know that physical appearance does not determine behavior, and more importantly, that we cannot assume a dog’s breed simply by looking at the dog. The dedicated advocates in Maryland are not stopping at bringing Storm home where she belongs. The Maryland Dog Federation has filed a complaint against Prince George’s County seeking a declaratory judgment that the County’s pit bull ban is unconstitutional and also seeking injunctive relief against the County’s enforcement of the ban. A preliminary injunction hearing to stop the County from enforcing the ban is scheduled for next Thursday, October 3rd. The injunction would require the County to immediately stop seizing innocent dogs from their homes and families and condemning them to death simply because of how they look. A trial to permanently stop enforcement, or eliminate, the ban would follow thereafter. “This will be a true David and Goliath case,” says Maryland Dog Federation Executive Director Adrianne Lefkowitz, as she explains the difficulties of a local grassroots organization with limited resources going up against a large county. This is an immense step for the people and dogs of Prince George’s County and taking on something of this size is expensive. If you would like to contribute to the Maryland Dog Federation so that they may continue to fight this giant, please click here. Any amount helps! For a quick reference fact sheet on Prince George’s County breed ban click here. UPDATE – 5 OCT 2013 – Storm has been returned to her person in Prince George’s County and will remain there. The hearing to stop enforcement of the County’s breed ban has been postponed. Coleman, Stacey. “Aurelia City Council Reaches Settlement on “Pit Bull” Service Dog Case,” Press Release, Animal Farm Foundation, July 12, 2012. Hooray for the Maryland Dog Federation! Next we need to send MDF to the Tri-County Animal Shelter in Hughesville, MD. TCAS services Calvert, Charles and St. Mary’s Counties. 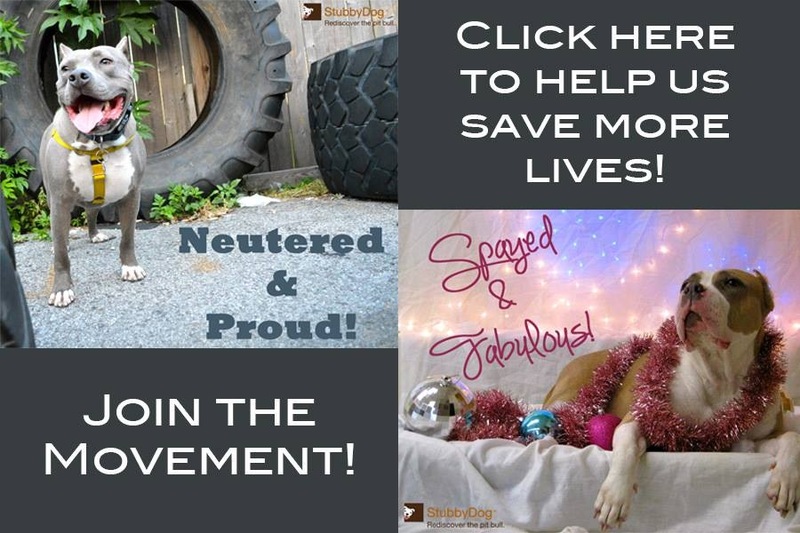 TCAS will not permit the adoption not only of Pit Bulls but of any “bully” breed dog along with a few other selected breeds. They do this although there are no breed restrictions in any of these three Maryland counties. All questions go unanswered as to who created this regulation, why it is in place and why they won’t change it. Thank you for responding to this situation. I’ve watched Pit Bulls and Parolees and Pit Boss and I can see that these dogs are gentle and loving unless taught to fight. Please keep up your efforts. I own a American Pitbull Terrier & an American Staffordshire Terrier. My dogs are EXTREMELY friendly, they like everyone. They espicially love my little niece & nephew that live in Upper Marlboro,MD. However,Upper Marlboro is in Prince Georges County, MD. It breaks my heart my dogs can’t go play with my niece & nephew simply because they’re Pitbulls & they’re illegal in Prince Georges County. “P.G. County” needs to go after the owners of bad dogs. These dogs are only what you make them. My dogs are family & ambassadors of they’re breed. That’s how my dogs were raised. I didn’t want a “weapon”, I wanted a family member & a good friend. 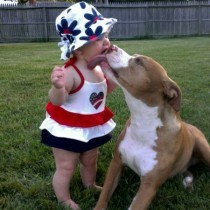 My dogs are Pitbulls & they’re changing peoples’ attitudes about they’re breed one person at a time…. Yeah, my dog Muffin (a staffordshire bull terrier) now almost 7 years old, has never been a danger to anyone. On the contrary, she’s been bitten 3 times, quite seriously. She’s so cute as she looks at me from her bed / dog basket right now. So sad there are bans around the world. We also have a breed ban here in Denmark. Fortunately for me, staffies got off the list right before the legislation was passed. And even more sad when considering how pretty much all of the experts (the Danish vet organization, Denmark’s Kennel Club, etc) all opposed it, stating clearly that there’s no reason for a ban, that it won’t work, etc etc etc. Yet, the politicians ignored that, and passed the law.